A 56-year old Jewish man was carried away in a stretcher after a 30 year old white male pounced on him. 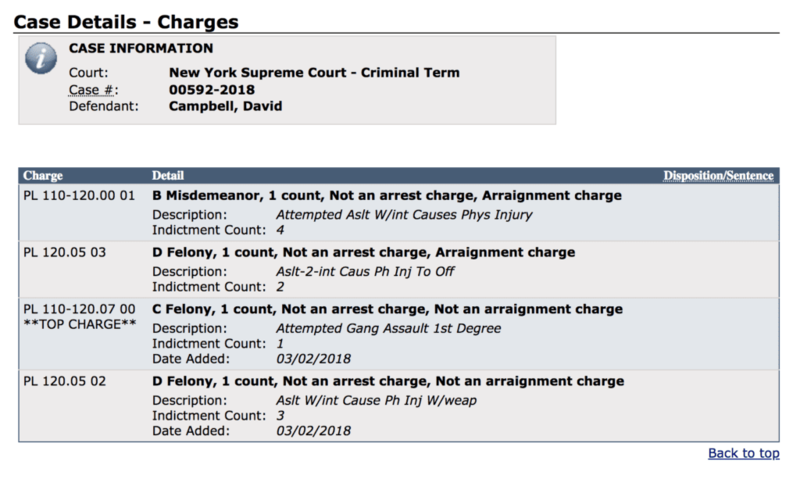 David Campbell, who faces 3 to 15 years in prison, sucker punched the man as he was leaving an event. He then tried strangling him to death. When police intervened, Campbell put a police officer in a head lock. Here is the aftermath of the attack via the NY Daily News, which reported on it. Here is the statement issued by NYPD after the attack. On Saturday, January 20, 2018 at approximate 2230 hours, police received a pick up job of a 30 year-old male punching and choking a 56 year-old male at the corner of 50 Street and 11 Avenue within the confines of the 18th Precinct (MTN). Officers intervened and arrested the perpetrator. EMD responded and transported the victim to Bellevue Hospital and is currently in stable condition. Charges are pending. The man who was attacked wasn’t politically active, and certainly wasn’t “alt-right,” although even endorsing an attack like that on bad people is going to take the country in a bad direction. He heard there was an event from a friend, and showed up. When police warned him against walking towards black-clad ANTIFA members, he shrugged it off. “They are just protesters, there’s nothing to worry about,” he told an officer on the scene. Coming from another generation, he hadn’t learned the difference between the Woman’s March (peaceful) and ANTIFA, and one might also lay blame for his attack on the media, which refuses to accurately report on the hundreds of violent attacks committed by masked men. The attack happened because people doxed the venue, and directly incited and encouraged violence. I kept the location secret. Only people who purchased a ticket were sent the venue address, and the address wasn’t sent out until 5 p.m. Please DO NOT share this address with anyone, even a friend, and do not post it on social media. No one who doxed the venue can claim they didn’t know about ANTIFA’s violent past, and none can claim the event was public. Some have said they didn’t “dox” the venue because it was public. That’s a lie. 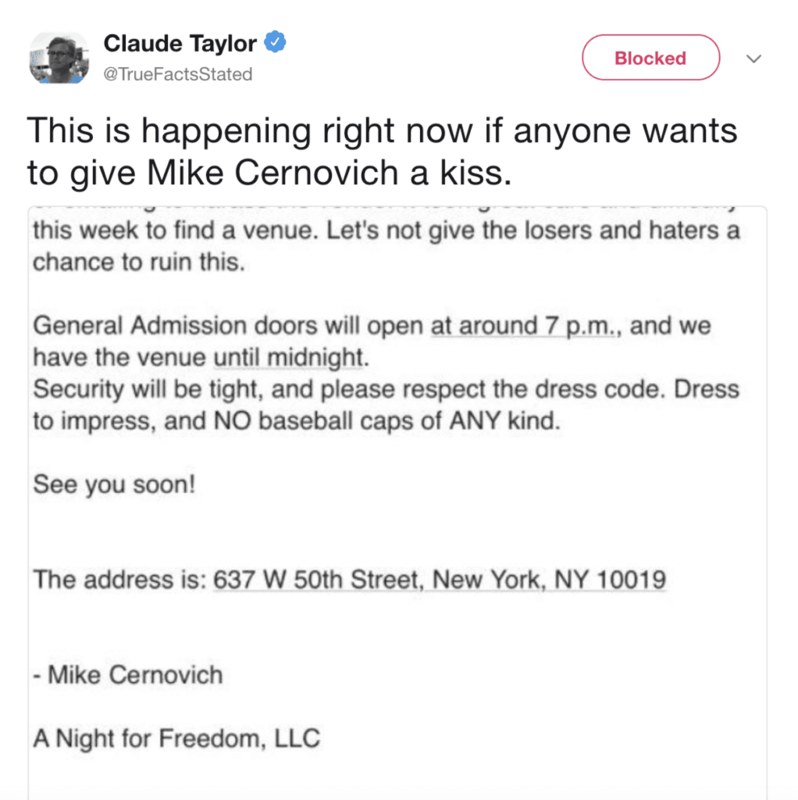 The ticket said on it: “Please DO NOT share this address with anyone, even a friend, and do not post it on social media.” The event was private. Someone bought a ticket in order to get the address. They then forwarded the address out, and the dox was amplified on social media. ANTIFA showed up to commit violence, and they almost murdered a man. All of this happened in the open. 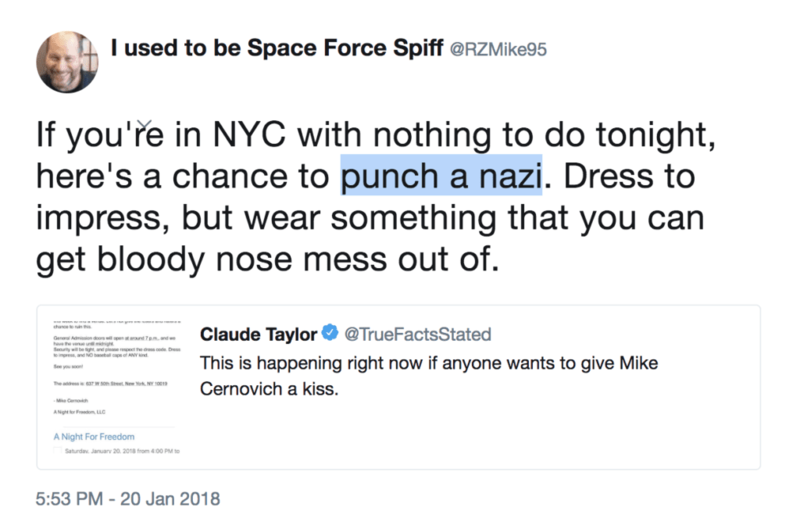 Claude Taylor, for example, told ANTIFA to attack me. His account remains verified, and no action was taken, and his threatening Tweet (Archive) is still up. Claude Taylor can try playing games with his “kiss” line, but his followers got the message. One of them was overt. Again, the man who was attacked was Jewish. Not that it should matter, no one should be sucker punched and nearly choked to death for simply walking home. But that detail goes to show how blind ANTIFA’s rage is. ANTIFA organized a violent mob on Twitter, and were explicit in their aims. They wanted to make “racists afraid,” and yet tried killing a Jewish man. ANTIFA uses violence for sport, and have no actual values or principles. The man who was attacked had relatives killed by Nazis. The ANTIFA thug who tried killing a Jewish man after a mob was organized on Twitter faces 3 to 15 years in prison. The New York Post captured a picture of Campbell during his arrest. While “protesting” outside of the event, several unidentified members of ANTIFA said they wanted to murder my child. My child wasn’t at the event, and whatever one thinks of me, that seems to be over the line. Although we often hear about a war on the free press by Trump and his supporters, actual violence is from one direction. Jon Levine, who was reporting on the aftermath of the violent assault, was threatened by ANTIFA. This entire Night of Violence was organized on Twitter. My question is this: Why doesn’t the media report on ANTIFA violence? Shouldn’t accounts that organized an actual violent attack be banned? Where is the media scrutiny? Where are the media calls for these accounts to be banned? ANTIFA directly incited violence. 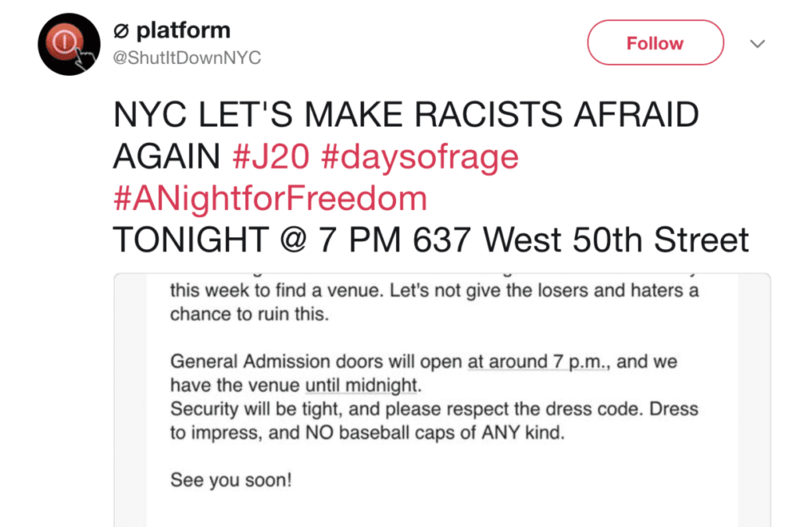 They doxed a venue. They told people to commit violence. They threatened children. They threatened a journalist. One of them is facing a lengthy prison sentence for the attack. This isn’t a hard case where one needs to connect dots or find loose associations between people and groups. Attacked a 56 year old man. This is a clear case of social media being used to organize violence. Yet if you turn on CNN or MSNBC or follow verified journalist’s accounts on Twitter, you won’t see any mention of this. Online harassment happens, and sometimes it turns violent. In this case, there were no dog whistles, they used loud and blood bull horns. 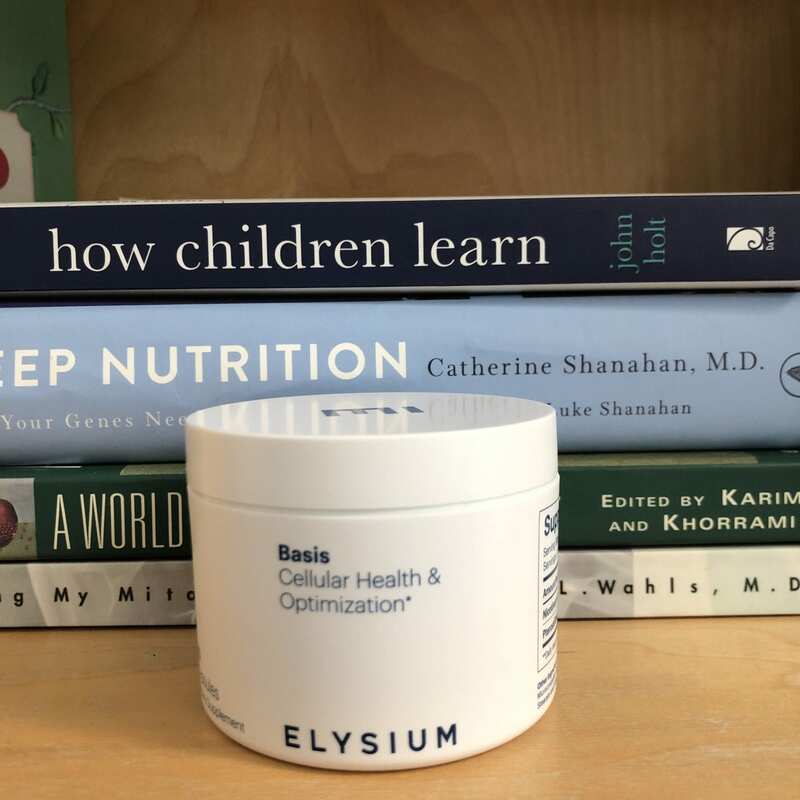 BASIS by Elysium Health for Anti-Aging?